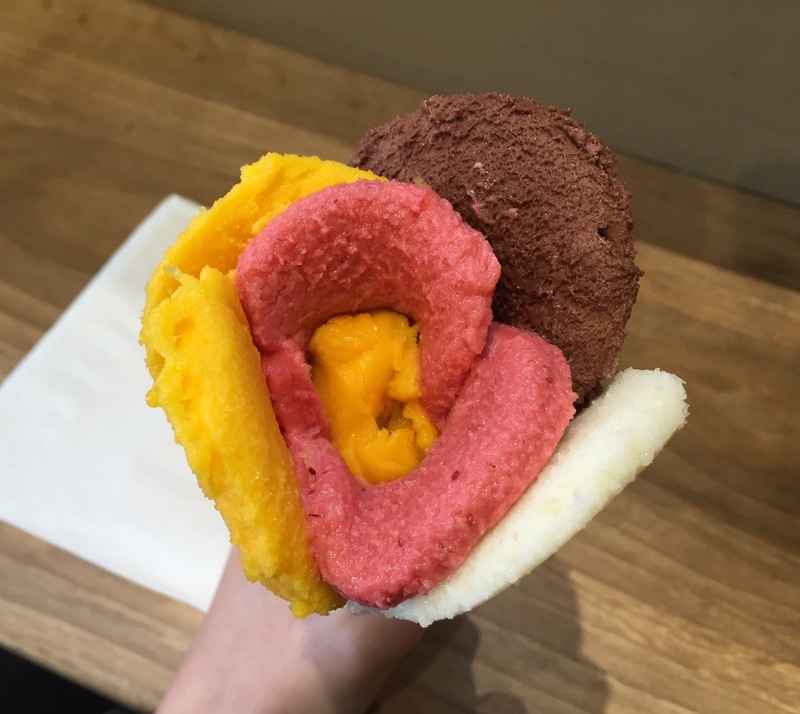 Back in fall, I saw a rose shaped gelato in midtown, but it's been too cold to try the shop till last week. 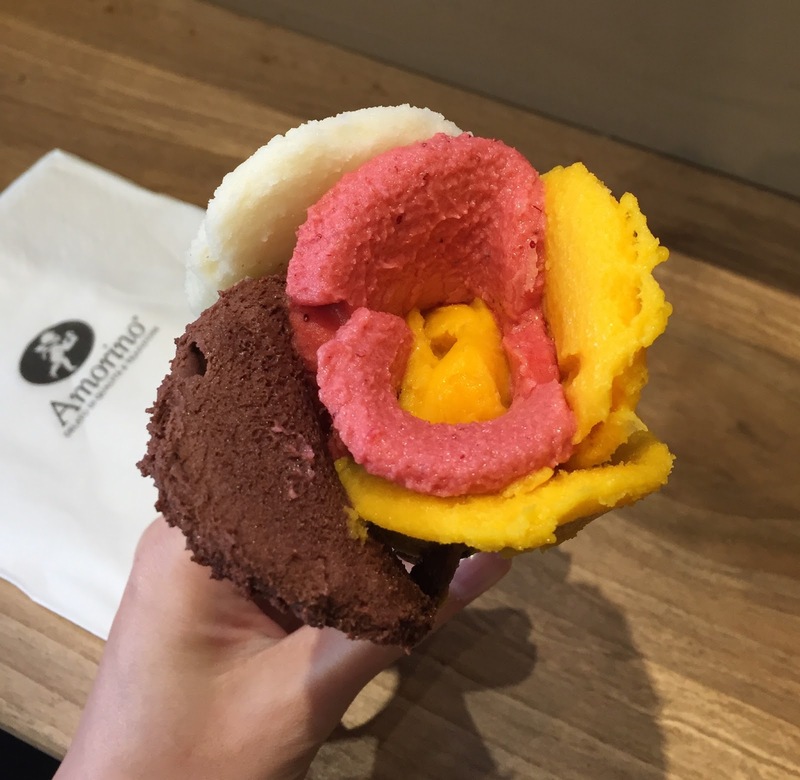 The shop is called Amorino, and they sell gelato, drinks and baked goods. There're sample sizes at the cash register. I chose a small cone as I wasn't sure how large it would be with gelato. They said I could choose multiple flavors and first, I had to choose the base, that I picked mango. Also I chose strawberry, banana and chocolate (amorino) from more than 20 flavors. 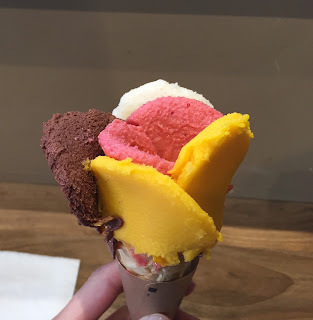 Each scoop was placed on the small cone neatly and looked like flower petals. 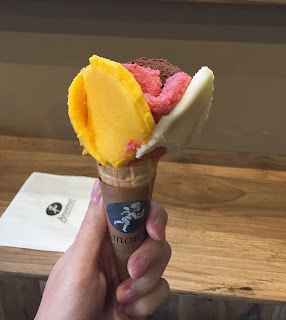 There're 6 gelato petals, and each gelato was rich in flavor. Mango was sweet, strawberry had sourness, too, banana was fruity, and chocolate (amorino) was sweet but had subtle bitterness at the end. 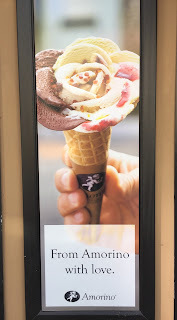 It's fun to choose the flavors and to be able to put so many flavors in one cone was very nice.